The implications for our Tours and Micro-Tours are obvious, providing more safety for groups on northern country roads. 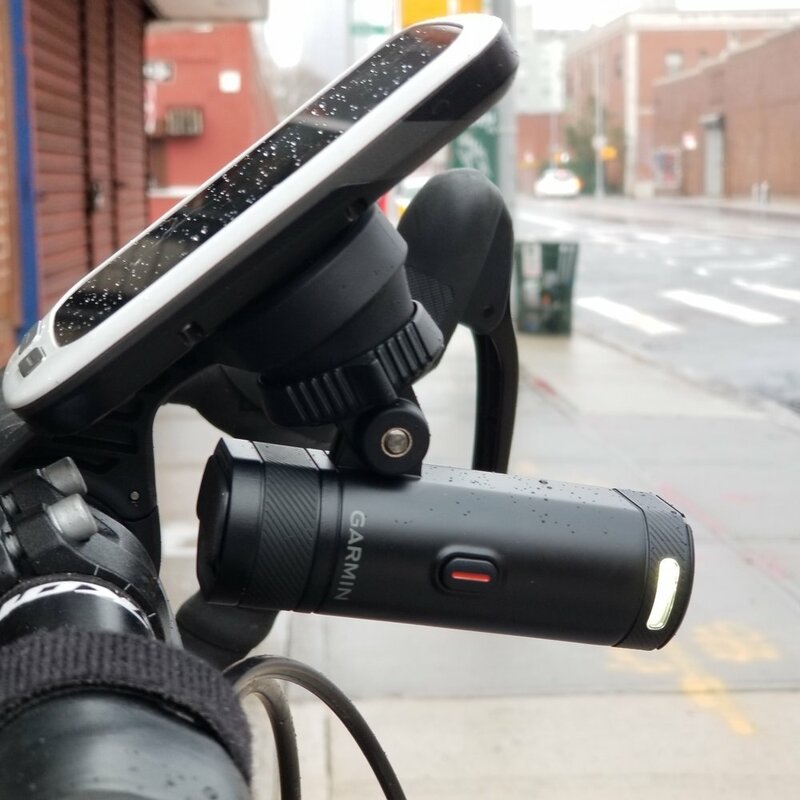 For urban commuters, these devices can provide a great safety net, specifically when trying to cross across traffic to make a left turn on the city grid. Garmin Varia UT 800 Smart Headlight Urban Edition, available in our Online Shop here. Garmin Varia RTL510 Rearview Radar Tail Light, available in our Online Shop here. 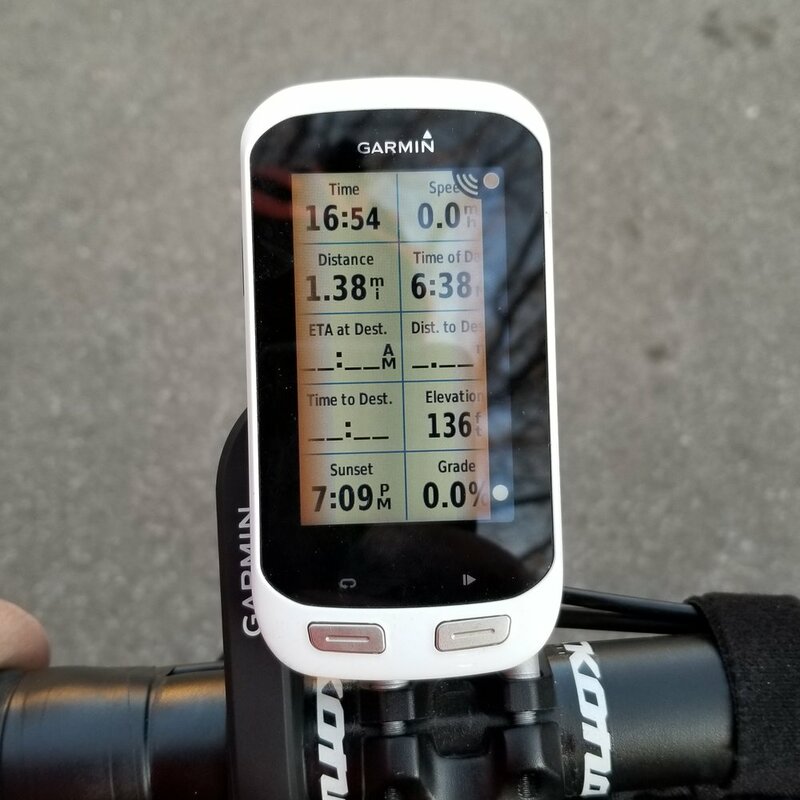 I have a Garmin Edge Explore 1000 that I generally use for our longer trips. On a day-to-day basic, I don’t use it too much as I think I have my 1.37 mile route home pretty nailed. I know I could be tracking daily mileage, but it seems like barely a ride. Now, however, my mind is changed. Using the radar device made me feel like I had an ace up my sleeve in the endless battle to arrive home safely. It was hard (and dangerous) to shoot a smooth video as I was riding home…as you can tell, 4th Avenue is a target rich environment! The headlight mounts on the underside of a specific Garmin mount. It dials in tight and solid. 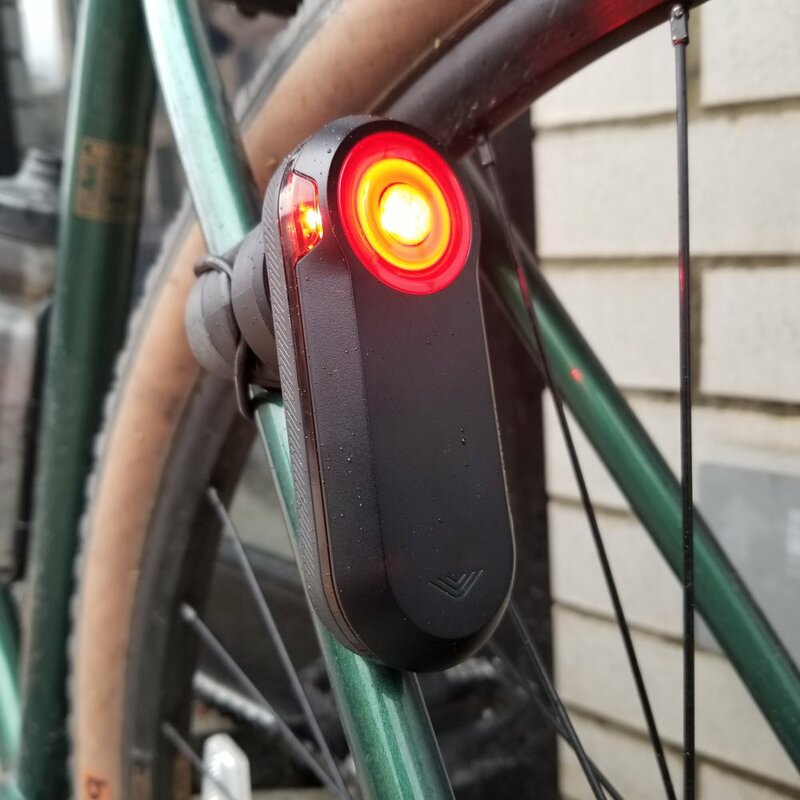 The tail light really wants to go on a seatpost. Since I use various saddle bags regularly (blocking the seatpost), I mounted it on the non-drive side chainstay, with the thinking that this would be the best position to detect approaching cars. Turns out, the radar was unbelievably effective in that position in detecting everything behind me on both sides of approach (including speedy delivery bikes). As I approached my least favorite part of my commute (cutting a left turn from 5th Ave onto 16th street), I used my devices to increase my situational awareness dramatically. Cars are detected about 150 yards away and are tracked inbound. These devices aren’t cheap (see below), but its hard to put a price on safety. Now available at our Online Shop or in-store.